Definitely loving these looks on you! You look so great in ruffles and feminine tops like this. You are one class act my friend with such sweet style!!! I love all these looks but being as I am crazy for an off the shoulder, you now I am ga ga over that first one! You're the cutest!! Love those sunglasses - especially for only $20 - that's a steal! 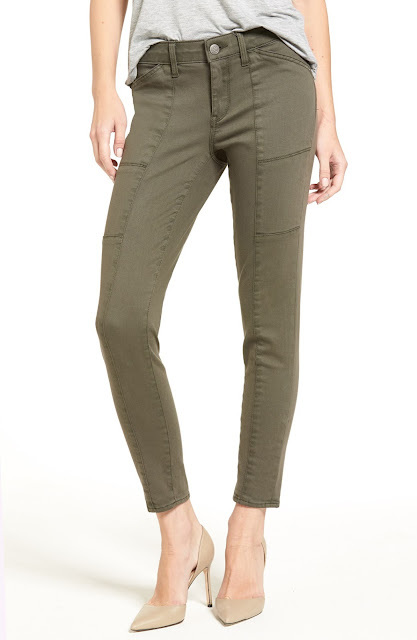 And those olive skinnies - super cute! You have been killing it on Insta lately! All of these looks are fabulous, and you know I am in love with those J. Crew shorts! I love that one shoulder top with the floral embroidery. And it's so perfect with the white jeans and red bag! Love the one shoulder trend! That floral number is just stunning on you! How can you NOT get cute sunglasses for $20?! Love the olive skinnies too! I love your sunglasses from Free People and I can't believe that they were $20!! All of your looks are so chic! 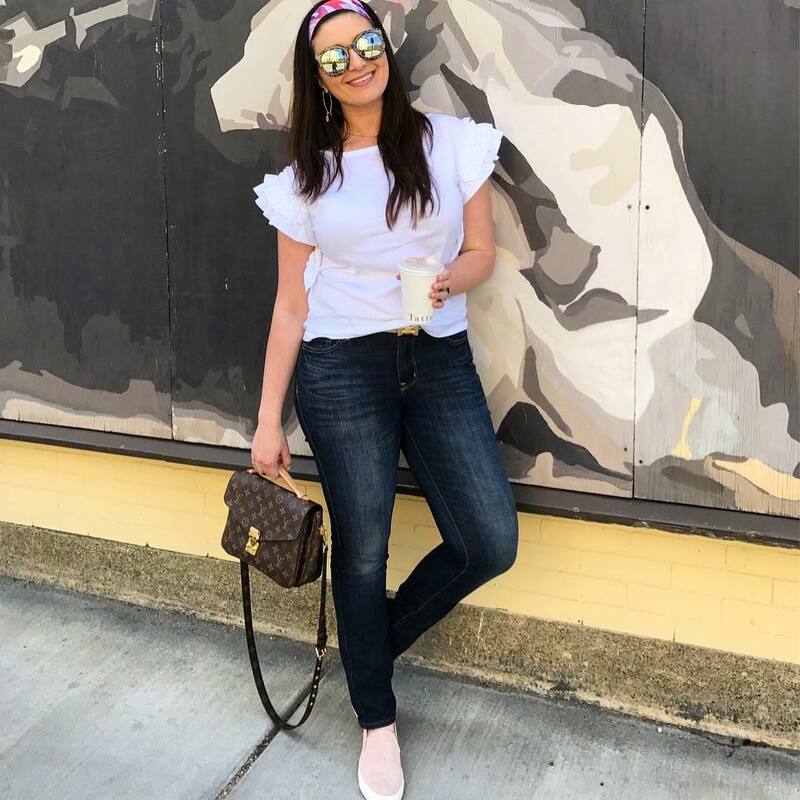 I have been loving all of your Instagram outfits!! That one-shoulder embroidered top is seriously GORGEOUS! I am obsessed!! Love the jeans in the second pic. I wear some staples frequently but am more likely to change it up! I always love your style! This was a great roundup. I love the pieces you want to get, too. Add 'em to my list!! I'm happy that I already follow you on IG because I've seen these looks when you've first shared them and I remember saying, YASSSSS B! Haha! Seriously though, I love ALL of these outfits, all of which are so cute and full of gorgeous details. 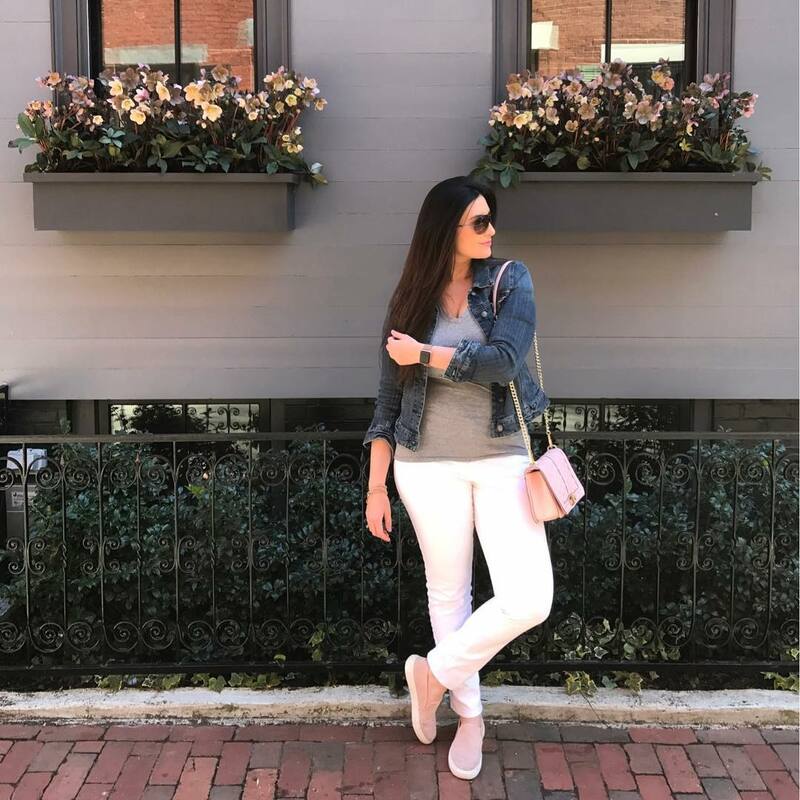 I definitely want to see more of these posts on your blog because you have such great style and we need to see more of it! Thanks for sharing, beautiful, and I hope you have a wonderful day! I love your style! That one shoulder top is adorable! I am loving all of your outfits - you look great!! Especially love that first off the shoulder top! I am loving all of these gorgeous outfits! You are looking so cute in all of them! I especially love that one shoulder so cute! so cute girl! blush and olive? yessss. and those sunnies are the cutest and the best price point! i'm all about one shoulder tops right now.i need to go find some good ones! Oh ya I'm known for wearing shoes out and most pairs of jeans. 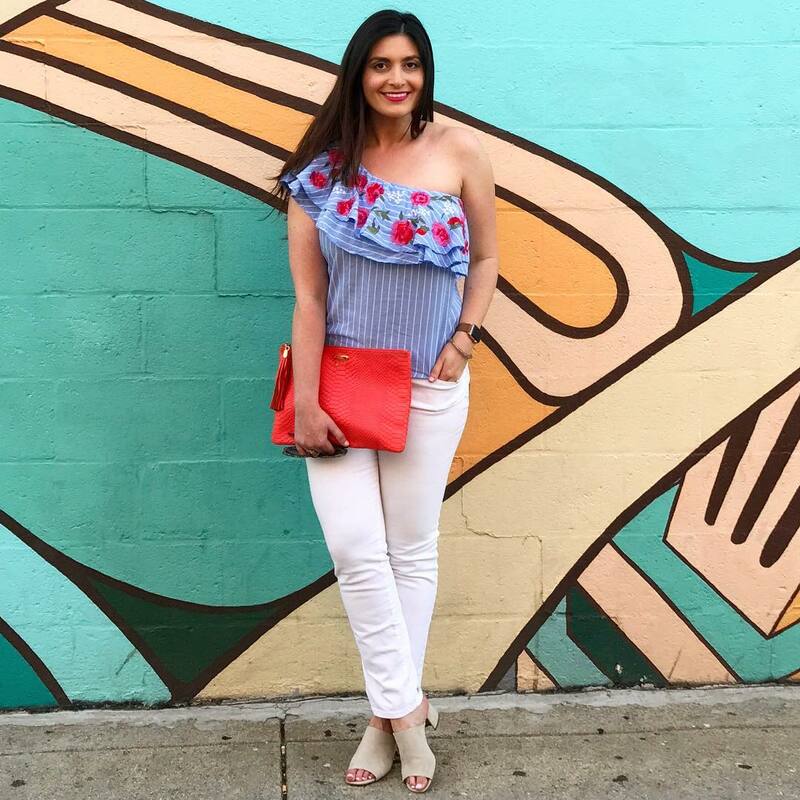 I'm inspired to check out a one shoulder top after these beautiful looks! They are all really cute looks! I LOVE your second look. Killing the insta-game these days! Love all of these pretty looks and I need that one shoulder top! I absolutely LOVE your style...and I need to find some one shoulder tops. I love off the shoulder, so your point about having more arm movement in a one shoulder makes total sense- gotta find one! I love all of these looks! They are so adorable and all such great individual pieces! So many cute pics! Love all your outfits! I love all of your looks! So beautiful!! 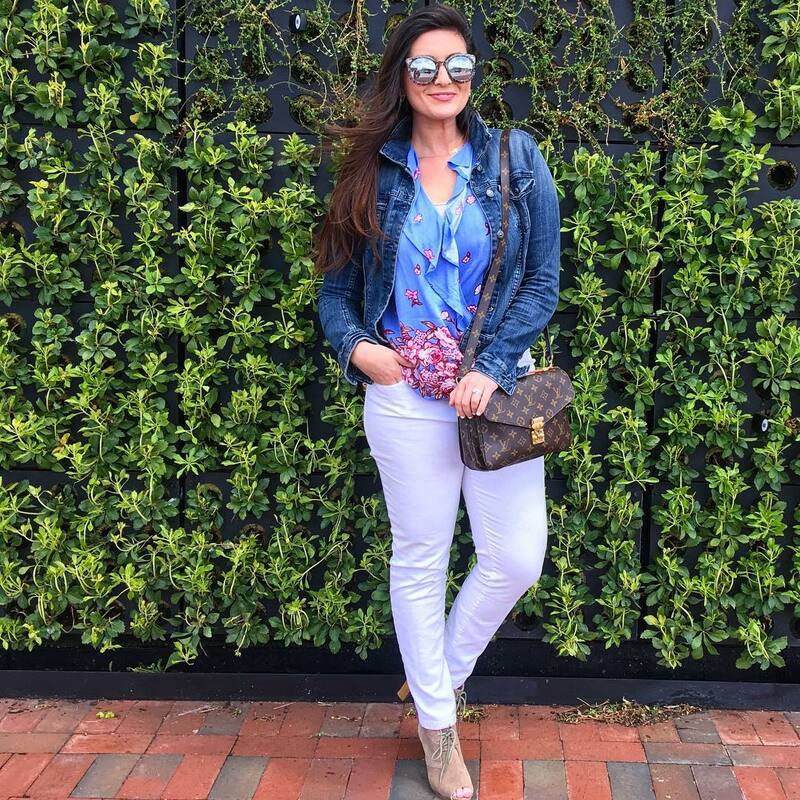 Loving ALL of your looks - especially that blue floral top! I love all looks, but especially the first one! So cute ^^. Oh my word I adore those shorts as well! Must have! Love all of your outfits so much- I can't pick a favorite, and I can't get over how cute the scarf is in your hair! I went back and forth on those FP sunglasses last year, and now am even more tempted that they have new colors. 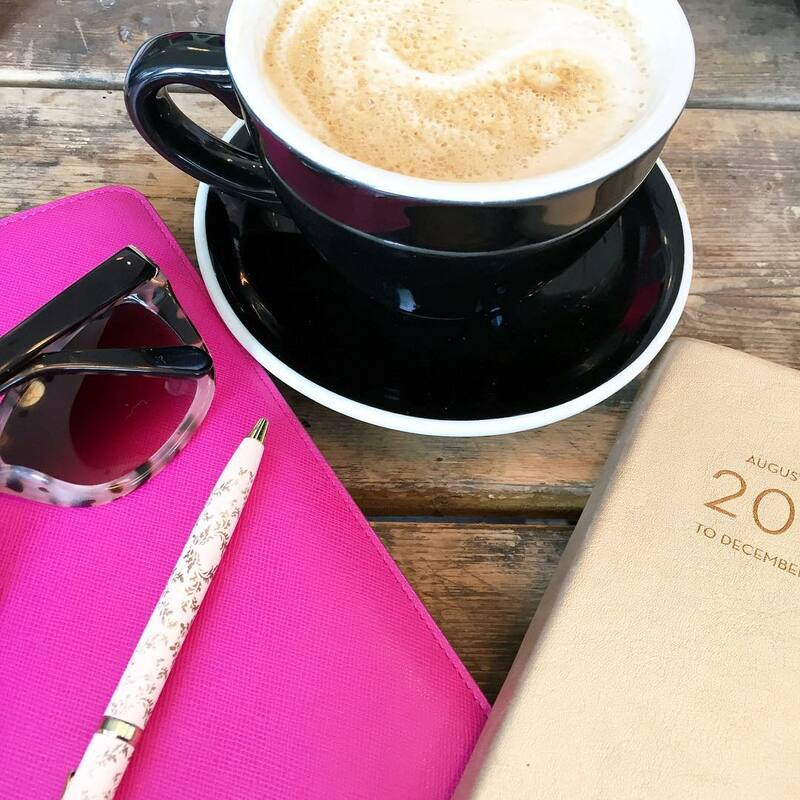 Insta-Roundups are my favs! I always love seeing your outfits and those tops are so fabulous! You look amazing... and I seriously need those JCrew shorts ASAP! I still love your slip on sneakers!!! SO cute!!! & those bow slip on sandals!!!! All the heart eyes!!! I love the one shoulder top you're wearing and the pink one you found! I'm loving all of the summer styles right now. 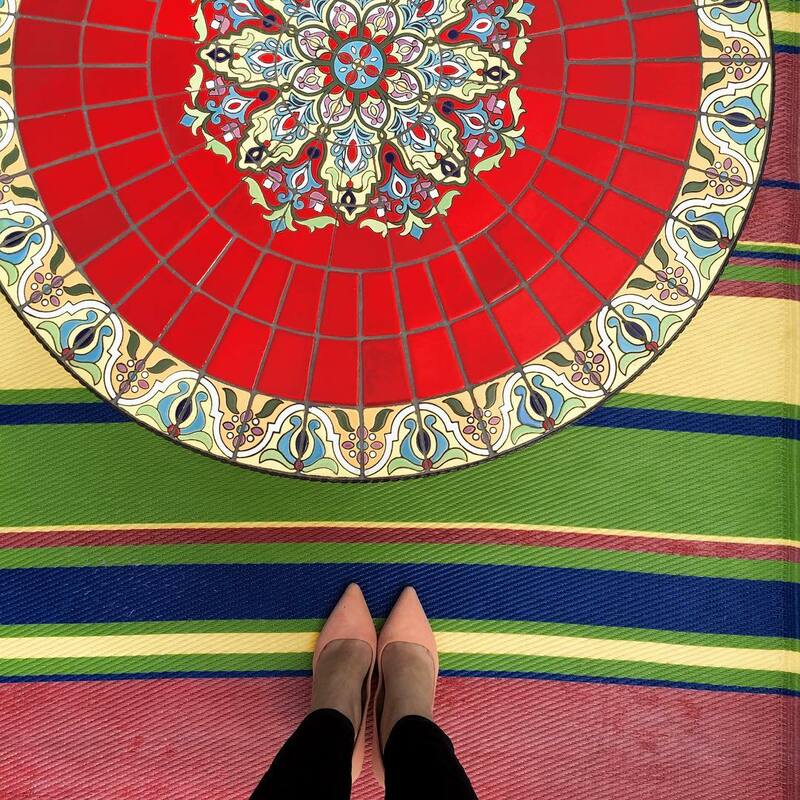 Love, love, love your style Biana! You do such a good job of mixing classic pieces with trendier pieces. I'm like you, I don't like to add too many trendy items to my closet and if I do, I don't spend too much on them. Like the bow shoes, I also purchased those pink bow shoes and LOVE them, but I just wasn't willing to spend $100 for something that may not be in style next summer. You've been killing it with all your outfits lately! So perfect for spring/summer. I feel like I missed some of these since Instagram is so ridiculous these days. ;) Those bow sandals from Target are on my list, too. Can't beat the price! I love all of these outfits! Also, those sunglasses for $20 from Free People?! Unreal! I appreciate that you mix some higher-end pieces (i.e. the clutch in the first outfit and your Louis Vuitton bag) with some bargains (like the denim jacket from H&M and the jeans from Old Navy). 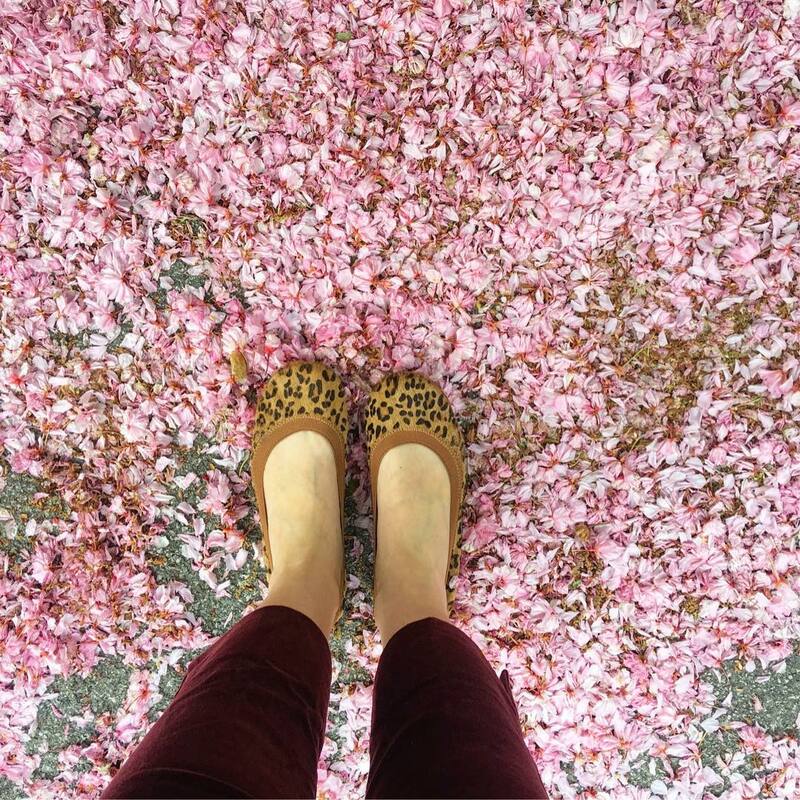 It's refreshing to see cute outfits featured on blogs that won't break the bank! I love this round up! I miss some of your posts thanks to the algorithm, boo!! Love that white ruffle top of yours! Loving all of these looks!!! I feel like you are one of the few bloggers that actually wears brands and styles that I would wear. I think lots of people look cute, but I might could actually pull off most of the things you post :) That Francesca top is seriously adorable and you have me wanting to go to the store near me. I haven't been since before I got pregnant. What a steal for those super cute sunnies! I love the one shoulder look! And all the pink and bows! Summer fashion is the best! Love these looks on you, especially the floral tops! That floral top is too cute! All so gorgeous but #3 is my absolute favorite outfit on you! You know how to rock a pair of white jeans and style them with different tops and accessories to recreate new outfits! I love your one shoulder top! I really need to get one too because as much as I love the off the shoulder trend, it feels too constricting to my arms! Ive been loving all your outfits lately! That embroidered top is the cutest! Your outfits are SO good! That bag makes everything even better, too! I can't wait to hear your thoughts on those slides! 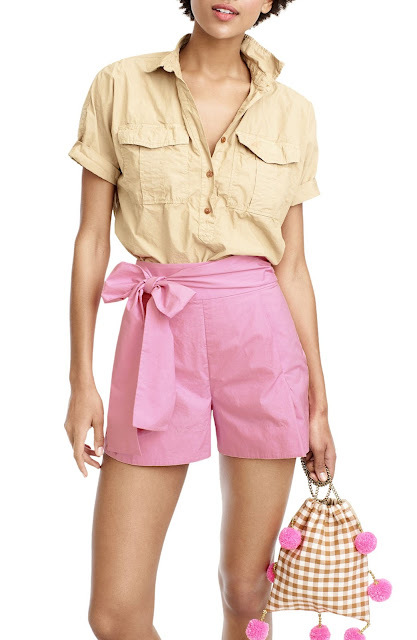 I'm obsessed with those bow sandals and bow shorts!!!! Your outfits are so on point. You have great style. Love those sandals!! So glad you shared these looks because they are all so fun! I am especially loving that first top. Glad your sister talked you into that one! I need that first top of yours! Love the one shoulder detail and the embroidery! What a great roundup - your outfits are all so gorgeous! Biana, I featured you on Thursday Moda today. Loved this look very much. You can check it out below, beautiful! Ohh and huge congratulations on purchasing a house you guys! !